Happy-Wiener's mission is to bring happiness and laughter to peoples' lives through the humor that wiener dogs have to offer. 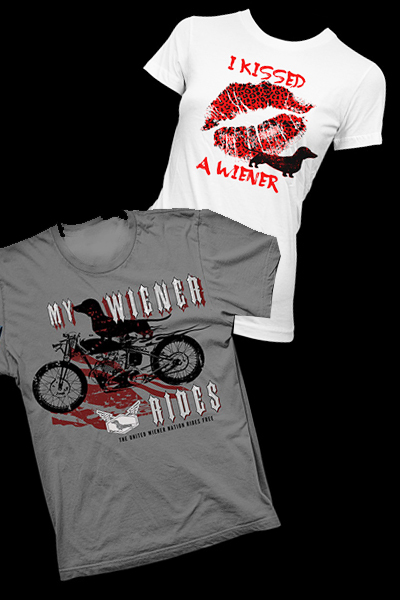 Created in 2011, Happy-Wiener.com features clothing with wiener dog images and sayings that are sure to bring a smile to anyone's face. Our hope is to amuse people of all ages with each creative saying. To date, Happy-Wiener has received nothing but rave reviews along with a few test marketed stores being sold out in 2-3 days. Share the love of wiener dogs or just put a smile on someone's face by purchasing a Happy-Wiener t-shirt.